Loving our products, driven by motivation and enthusiasm. Striving for outstanding performance in technology, quality and service. Collaborating trustfully. Believing in the power of a team. We care for the nature and future generations. 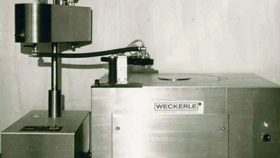 Weckerle GmbH was founded in 1965 by Peter Weckerle and has developed from a small precision engineering workshop to a worldwide operating company with a leading position not only in the field of stick and tube filling machine manufacturing but also as a contract manufacturer with full turnkey service for the color cosmetic segment. 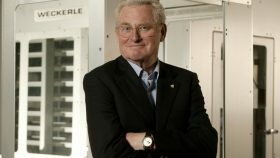 Today Thomas Weckerle, son of the founder, leads the company and has created a network of state-of the art manufacturing plants with locations in Europe, North & South America and China serving clients all around the world. 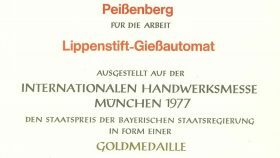 The company was founded by Peter Weckerle in a garage that was used as a mechanics workshop in Peißenberg, Germany. Start developing the first fully automatic lipstick filling machine. Construction of a new workshop in Peißenberg, Germany. 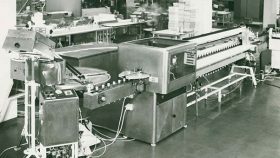 First automatic lipstick filling machine was sold. Weckerle Sales Corporation, in Torrance, L.A., USA was founded. Contract filling of lipsticks started in Starnberg, Germany. Expansion of the company. 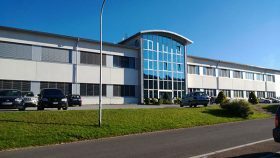 Renting of a new workshop in Weilheim, Germany. 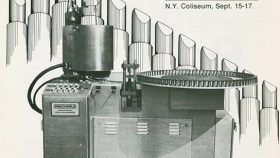 Development of the world’s fastest tube filling machine. Construction of a new building for plastic injection molding in Peißenberg, Germany. Weckerle do Brasil was founded in Sao Paulo, Brazil. Founding of Weckerle SA in Le Locle, Switzerland and construction began of its production facilities and offices. Thomas Weckerle becomes sole owner and President (CEO) of the Weckerle Group. Launch of the new Weckerle MultiMould Lipstick filling machine generation, versions MM 180 and MM 060. Launch of the new Weckerle FlexFill Machine and integrated assembly line. Launch of Weckerle MultiMould Lipstick filling machine MM 360. 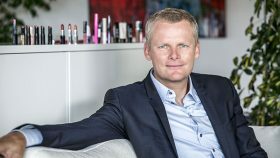 Company Dr. Scheller Eislingen joins the Weckerle Group and does business under the name Weckerle Cosmetics Eislingen GmbH. In June Weckerle Cosmetics China is founded as an affiliate company of the Weckerle Group. 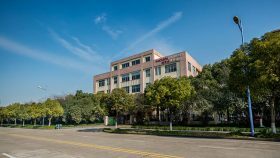 The office is located in Hangzhou. Weckerle achieves the ATEX-competence for their machines. 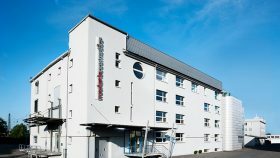 All Weckerle companies under the roof of the Weckerle Holding GmbH.